Taking the leap into full-time photography is certainly not easy. 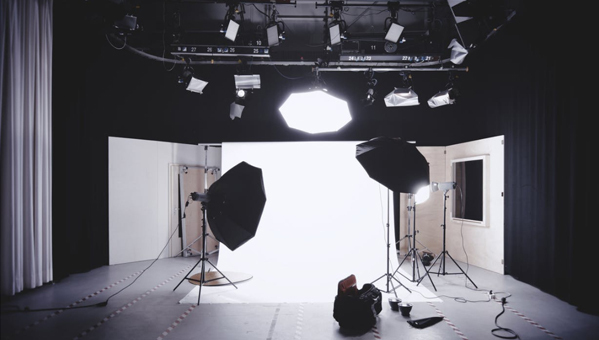 While you may be used to snapping amateur photos as a hobby or as a side project, finding a position which is your nine-to-five can be challenging. While there are many routes that a career in photography can take you, you really have two options to decide upon; work as a freelance photographer taking on solo projects or collaborating with partners on occasion, or the other alternative is to take up a position within a business that requires a photographer full-time. Regardless of the path that you choose, there are certain aspects that you will want to consider that will lead to you calling it your job and help to further your career. Below are some of the areas that you may want to consider. We’ll start with the most obvious piece of advice; take photos. Yes, it may seem rather silly to mention this, but it’s all well and good saying that you want to become a photographer, but where is the proof? If you want to begin a career in the industry then firstly you need to hone your skills and show that you have a true passion for taking photographs. While taking photos of anything and everything is good to begin with, it can help to choose a specialism so that you can develop an area of expertise. 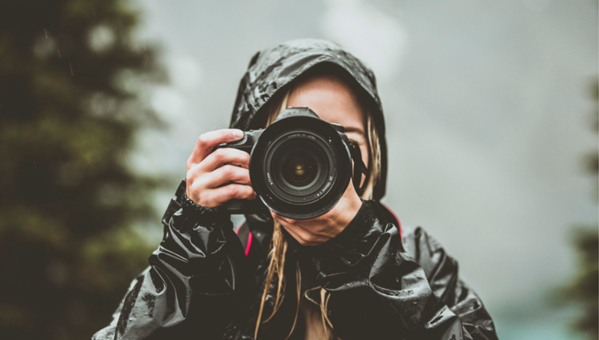 While you do not need any professional qualification to become a photographer, it can help your career if you undertake some form of course either at college or university, or you could research the courses that photography schools may have on offer. If you have a passion for taking photos and know that this is the career path that you want to pursue, then a course can help to expand your technical knowledge and gain a greater understanding of areas such as composition, required equipment, and post- production. You may want to go old school and print out your best work and display it in a photo box or on a USB stick to present to clients, but the first thing that people will do before hiring you is search online to find out more about you and to view your work. Therefore, you should have some form of digital presence that displays information such as the services that you offer or work you are looking for, contact details and, of course, some of your very own photographs. A blog is easy enough to set up yourself on WordPress when using a templated theme, or you could use Instagram to share your images. Whatever platform you choose, it’s important that you update it regularly with fresh images and news so that you give off the right impression to prospective clients and employers. Just like many other careers, the best way to gain a job is to do work experience. Not only is it a great way to build a base of contacts, it will also provide you with on the job knowledge and a view of what a day in the life of a photographer is like. Many photographers begin their careers working as photography assistants helping with setting up the shots and equipment, therefore this is a good way to gain invaluable experience and create contacts with industry professionals for the future. Rather than waiting for an opportunity to come your way, reach out and be proactive in your search for a job. Contact those in the industry that you know and enquire as to any projects they are working on at the moment and if they need a photographer. Adding photos to stock websites is another great way to get your work seen and in front of those who may look to hire you for a specific project. While there are many sites which allow you to list images for free which people can download without charge, if you want to begin making some money from your images, then you can add them to a site which will pay you a small fee when the images are bought – however, remember that the site will also take a percentage of whatever you make. You can read more in our blog post on making money in photography. Regardless of whether you want to work for yourself or not, it’s beneficial to sign up to a number of job boards which post freelance opportunities or hold a data base of freelancers who are available for work. This is a great way to list yourself as available for work and will mean that you are able to access relevant job postings. As there are often thousands of people signed up to sites such as People Per Hour and Upwork, you’ll need to be proactive in promoting your profile and in searching for jobs on these platforms. Photography is about recommendation of both your photographs and you as a person. The industry relies heavily on a ‘people who know people’ basis, and you should therefore ensure that you build strong working relationships with everyone that you come across in the industry. This sentiment is particularly important for freelance photographers, but is still good practice to keep in mind when working for a business too, as you want to keep a good rapport with colleagues and photography subjects alike. 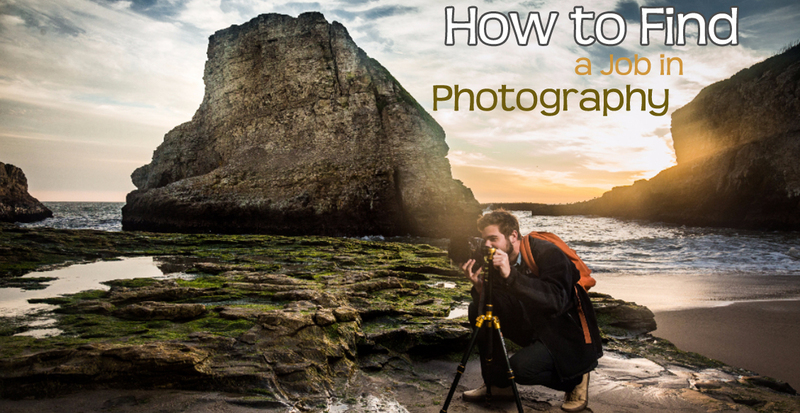 Keep in mind these tips, and you’ll soon be on your way to fulfilling your photography dream.